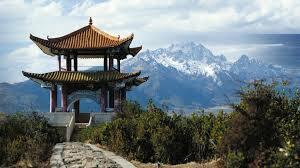 Massage has been developed continuously in China for over 5000 years. It is widely practiced and taught in hospital and medical schools and is an essential part of health maintenance and primary healthcare. Our masseuses have received extensive training in established massage disciplines. In traditional Chinese culture, qì (also chi or ch’i) is an active principle forming part of any living thing. Qi is frequently translated as “life energy”, “life force”, or “energy flow”. Qi is the central underlying principle in traditional Chinese medicine and martial arts. At Reflex and Reflexology we channel the flow of energy around and through your body, helping your mind and body form a cohesive and functioning unit. By understanding its rhythm and flow we help channel your inner Qi to promote stability, resilience, balance and longevity. Peer-reviewed medical research has shown that the benefits of massage include pain relief, reduced anxiety and depression, and temporarily reduced blood pressure, heart rate, and state of anxiety. Theories behind what massage might do include blocking nociception (gate control theory), activating the parasympathetic nervous system, which may stimulate the release of endorphins and serotonin, preventing fibrosis or scar tissue, increasing the flow of lymph, and improving sleep, but such effects are yet to be supported by well-designed clinical studies. These possible explanations for why massage is healthful are premised on Western understanding of medicine.